Perhaps my long-held postulate—if doctors read and took seriously the emerging science in peer review journals regarding vaccine chemicals and neurotoxins, in particular, and disregarded Big Pharma’s hype and perks, they would not vaccinate infants and toddlers, or anyone—has been vindicated by impeccable, validating, and published research science! What are mitochondria, you may be wondering. They are the powerhouses and sources in each cell that provide life energy in the form of ATP—Adenosine Triphosphate—for biochemical processes in the body. 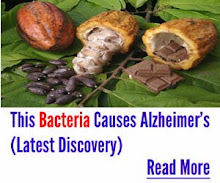 Mitochondria research published during 2008, 2009 and 2012 in three journals – the Journal of Neuroscience Research, Journal of Toxicology, and Molecular Nutrition and Food Research – report the specific roles that two neurotoxins: ethylmercury (49.6%) in Thimerosal and aluminum in adjuvants—plus numerous pharmaceutical drugs, and all vaccines in general, play—or, more accurately, induce iatrogenic mitochondrial diseases, i.e., diseases caused by doctors, their treatments or medications. That aspect of the medical profession, by itself, should leave all medical doctors liable and wide open to medical malpractice lawsuits filed by parents of vaccine-damaged children and spouses or caregivers of adults damaged by vaccines and/or prescription drugs. The FDA is in GRAVE default for not requiring mitochondrial toxicity testing, which also should be prosecutable legally, especially when vaccine damage cases are heard by the Vaccine Court. However, one vaccine-damaged complainant—nine-year-old Hannah Poling —received US$1.5 million PLUS  from the Vaccine Court for mitochondrial damage implicated in the autism Hannah contracted after receiving 9 vaccinations. Did she and her family get that award because her father is a physician  and probably knows something verboten? The researchers found literature that discussed mitochondrial damage and the roles that “medications, chemicals, pesticides, metals, drugs, vaccine ingredients and other mitochondrial poisons”  play in putting cells in human bodies at increased risks of permanent damage. Ironically, the first mitochondrial dysfunction was described in the 1960s! Where have the CDC, FDA and Big Pharma been? And why have the CDC/FDA not mandated mitochondrial toxicity testing for vaccines and all pharmaceutical drugs during the ensuing years—since the 1960s? Is that scientific and professional malfeasance? 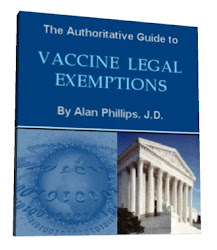 Do vaccine makers perform – and the FDA permit – a legal CYA when they publish in every vaccine package insert that the vaccine has not been tested for carcinogenicity, teratogenicity, and the ability to interfere with fertility or reproduction? That ‘legal’ wiggle-room wording seems somewhat seedy, if not fishy—like they know something they should do, but don’t, so that’s why they don’t do toxicity testing? That wiggle-room wording alone, I contend, should be enforceable legal grounds for refusing any vaccine regardless of recommendations, mandates or pharma-media hype. No person should be mandated to put an untested chemical product, especially those containing neurotoxins, into their or their children’s bodies. To do so should be prosecutable as a crime against humanity, in my opinion, and in any free society where basic natural laws are regarded as sacred. Have you noticed how many involve the central nervous system and the brain? Parents should note that mercury (Thimerosal, an Eli Lilly Company product , contains 49.6% ethylmercury); aluminum (Al) in any combination of four solutions (Al hydroxide, Al potassium sulfate, Al phosphate, Al hydroxyphosphate sulfate); and ethylene glycol (the primary ingredient in antifreeze! ) 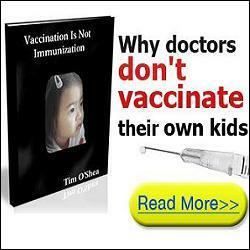 are in many of the vaccines given to infants and toddlers! Parents, would you willingly give your child mercury, aluminum and antifreeze? Well, you very obligingly do when you take them for their “well baby” visit shots at 2, 4, and 6 months! Biochemically and scientifically, there are no safe doses of aluminum or any form of mercury—ethylmercury or methylmercury. So, there you have it confirmed—ethylmercury in vaccines as residual traces of Thimerosal. Now here’s something to know, I think: Where are the largest number of mitochondria found? Answer: In the most metabolically active cells—bones, brain, heart and liver. According to the mandates from the American Academy of Pediatrics and the U.S. CDC/FDA recommended vaccination schedule for children  by the time the average American baby is only 18 months old, he or she will have received nearly 5,000 micrograms of aluminum, a mitochondrial toxin! Isn’t that about the age and time when mitochondrial-associated diseases show up in vaccine-damaged children? They also noted that “The brain utilizes 20% of the oxygen consumed by the body but constitutes only 2% of the body’s mass.” So you can readily understand how any neurotoxin—especially ethylmercury and aluminum—affects the brain because of the brain’s demand for nutrients. Recall Dr Kohl’s list of mitochondria-associated diseases. The above statement accentuates what medical doctors, who treat autistic children using nutritional therapies and detoxification protocols, prove: mitochondrial damage can be reversed once the body is devoid of toxins and chemicals, and given the proper protocol based in optimum nutrition without more toxic drugs prescribed and administered that induce more mitochondrial damage. You can’t poison a body into wellness, I contend. Add to the above, the fact that vaccines are not working as hyped by CDC/FDA/Big Pharma! California is realizing that in an extremely embarrassing way, especially since the state legislature passed a mandatory school attendance/vaccination law in 2015. Kaiser Permanente Vaccine Study Center published their findings about the Tdap vaccine and the lead researcher had to admit, “I think we were hoping the Tdap booster would counteract what happened in 2010. Unfortunately, it didn’t.”  Ouch! By pushing vaccines CDC/FDA, Big Pharma and the medical profession undoubtedly create more health problems for children, especially an impaired immune system. Statistically, more young children have chronic diseases  than previously, and yet no one thinks that’s abnormal. Of course not, when an apparent agenda is to market and mandate 300 more vaccines  in the coming couple of years, including vaccines that contain nanoparticles we don’t know very much about how they will react in body chemistry and effect DNA/RNA. Will that mean that you and your kids will have to get a vaccine a day or show up once a week to get 6 or 7 vaccines at a time? Is that what you want going into your body with more and more neurotoxins and horrendous chemicals, foreign DNA, mycoplasmas , etc.? Isn’t it about time the healthcare consumer in the USA wakes up and demands proper healthcare especially regarding suppressed and fraudulent vaccine information? Where does the Zika virus fit into all of this? Brazil is a country that uses toxic agricultural sprays  like water! Furthermore, pregnant women are given vaccines , especially the Tdap, during pregnancy—something that would never have been done before. When I studied nutrition and medical science, a pregnant woman was told not even to take an aspirin! We see what happens to children whose mothers are drug addicts, drink alcohol,  etc. during pregnancy – “Growth factors (i.e., birthweight, length, head circumference) were also assessed”. Aren’t agricultural sprays and vaccines made from chemicals? Moreover, microcephaly is not new to Brazil! So why all the hype now, especially from Dr. Margaret Chan of the World Health Organization, who also was “quick on the trigger” to declare a world-wide swine flu pandemic in 2009 that never panned out! Is the fear factor for control involved? Check the vaccinations status during pregnancy for mothers of children born with microcephaly for possible association or causation, keeping in mind vaccines and pharmaceuticals impact mitochondrial diseases. Investigate the chemicals being sprayed to deal with those genetically-engineered mosquitoes released to combat dengue fever. Implement remedial protocols to deal with toxic chemical sprays for agriculture, vermin and mosquito control. If it is Zika virus, it has been in Brazil for a lot longer than people have thought, but that does not explain why after 50 years Zika has only now been linked to microcephaly. That prompts me to ask, “What’s their agenda and why? Plus, why have they been so stridently aggressive about pushing toxic vaccines into pregnant women, newborn-day-old babies, 2-4-6 month old infants, toddlers, teens and adults?” What is their agenda and why? Are Transhumanism or Artificial Intelligence on their DNA/RNA programming schedule? 3 Comments on "Science: Big Pharma’s Role in Iatrogenic Mitochondrial Diseases Caused by Vaccines and Prescription Drugs"
Beats me why any Mom would get an invitro vaccine. The lies by big pharma drug pushers are so horrific that they are the pandemic. Moms – please stop vaccinating.! the human race got along with out them for thousands of years. At least one of my grands have had no vaccines and is never sick. 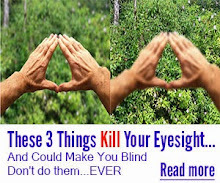 Stop big pharma by looking into minerals, herbs, vitamins and organics. Don’t fall for the crap that the MSM pushes – it’s all about qui bono (cui bono) – in other words who profits. The reason there are so many diseases might be because of vaccines – which Catherine has pointed out so strategically and eloquently. TY Catherine for all you and others that are trying more holistic and naturalist methods.